Akrotiri is a Minoan settlement that has existed since the Bronze Age, so it’s not new to human activities. 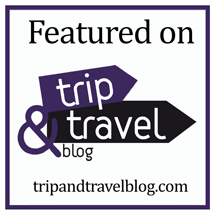 It’s also a very lively part of Santorini that has so much to offer in terms of hospitality, culture, and fun. Here are some of the best hotels you should consider when you visit. 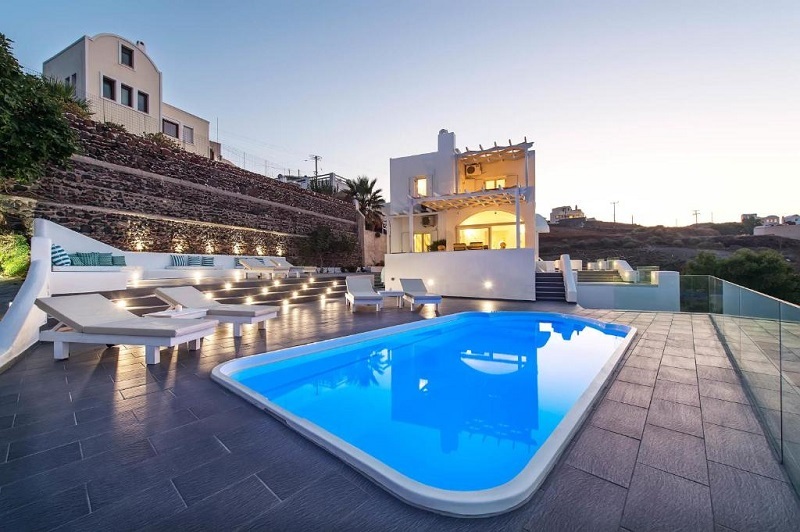 Pancratium is considered one of the best hotels to lodge in Akrotiri. From the moment you step into this place, you’re already enjoying yourself with free parking space. Rooms are well-equipped with everything that makes a hotel accommodation exciting; flat screen TV, coffee maker, and private bathrooms. Pancratium Villas & Suites is surrounded by quality tourists’ destinations that are not too far away. Just 1.2km away is the archeological site of Akrotiri and the Red Beach. Also, the Santorini airport at Thira is just 9km away. A couple of features like location setting on a cliff and traditional-style building design makes Hotel Goulielmos the perfect choice for many visitors. Every room is also well decorated with free Wi-Fi, air-condition, private bathroom, and a view of the garden or the Aegean Sea. Many tourists have testified to the quality of assorted drinks offered in the hotel bar, which is rooted in Greek Culture. Every morning, the restaurant also serves a buffet breakfast that is unbelievably delicious and worth looking forward to. Most popular facilities in this hotel include a swimming pool, free parking airport shuttle, and bar. Many couples also love coming here so it will be a great choice if you’re coming with your partner. You get the price of three views for one when you lodge in this hotel. These views include the caldera, the garden, and of course the Akrotiri Village. Every room is fitted with air-conditioning and the suites are open to private terrain and balcony where you get to relax to enjoy the wind or get a better view of the natural atmosphere. You’ll also enjoy special treatment because of the facilities made available here. There is a wellness center where you can go and have a quality body and face therapy, or just to keep yourself in shape after all the drinking and eating. 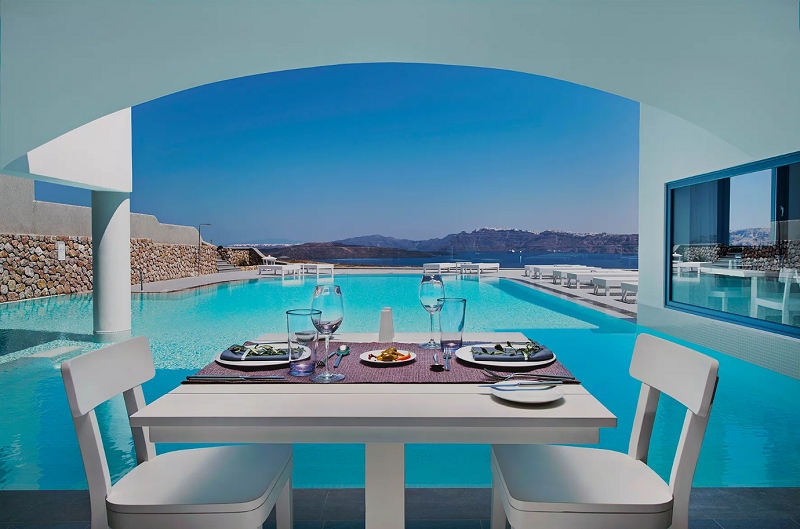 Crocus restaurant serves Mediterranean cuisines where you can eat great meals while enjoying the beautiful view of the Aegean Sea at the same time. Another activity that attracts guests is the wine tasting that takes place at the stone-covered cellar. 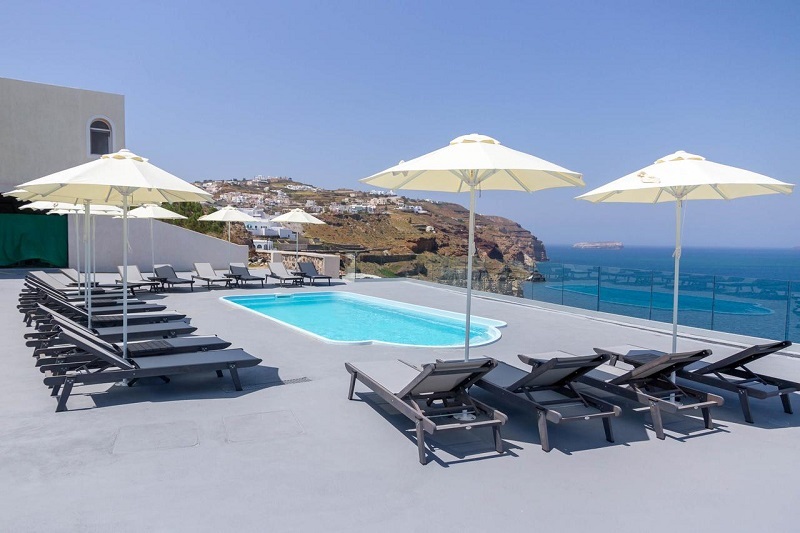 Apart from having individually decorated suites, Kalestesia Suites also offer guests the best views of the Caldera and volcano, making it one of the best places to stay in Akrotiri, Santorini. Also available are outdoor showers, loungers, olive-oil toiletries, HD flat-screen TV, air-conditioning, and bathrooms with ventilation windows. Every morning, guests are treated to delicious Mediterranean breakfast made from natural products. While you’re relaxing by the poolside, you can order for Champaign, snacks, and other types of drinks. 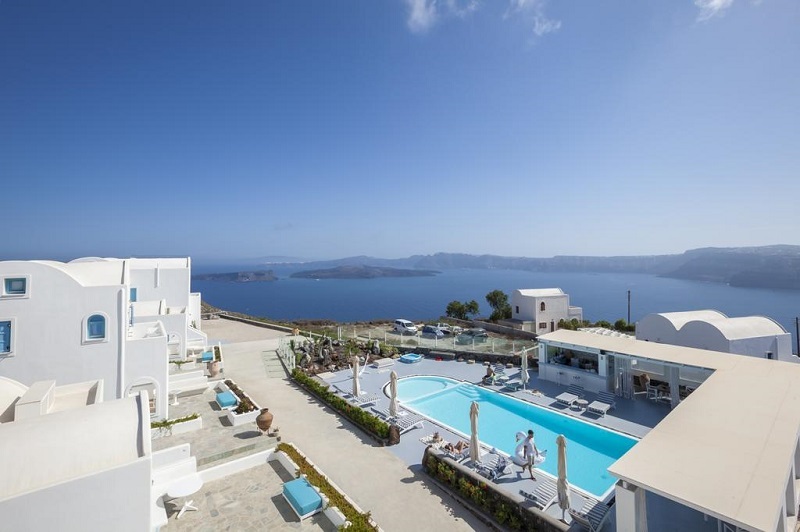 Kalestesia Suites is also only about 10km from the town of Fira, as well as the airport and the seaport.